Did you see my recent review of the K'NEX Stompz Building Sets Beasts Alive? 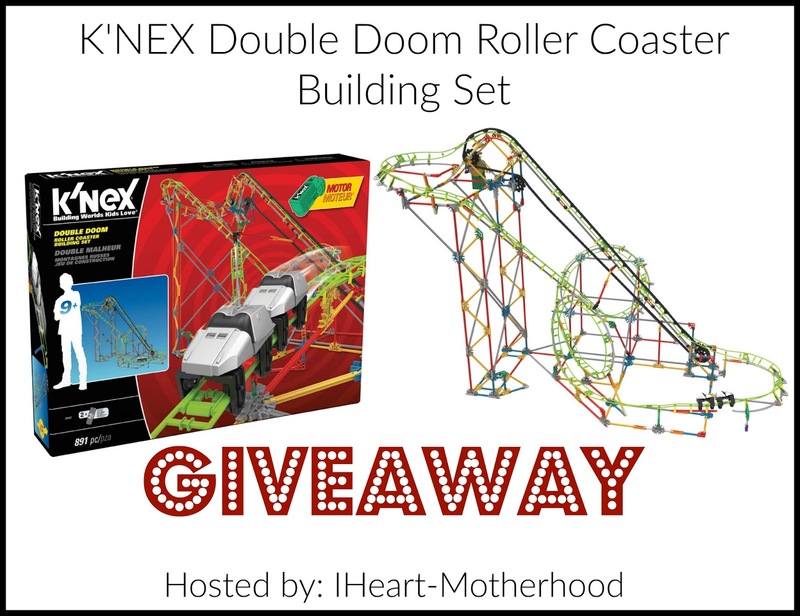 Well as much as my children loved that awesome dragon, I'm back today featuring another exciting K'NEX children's product - the Double Doom Roller Coaster Building Set! 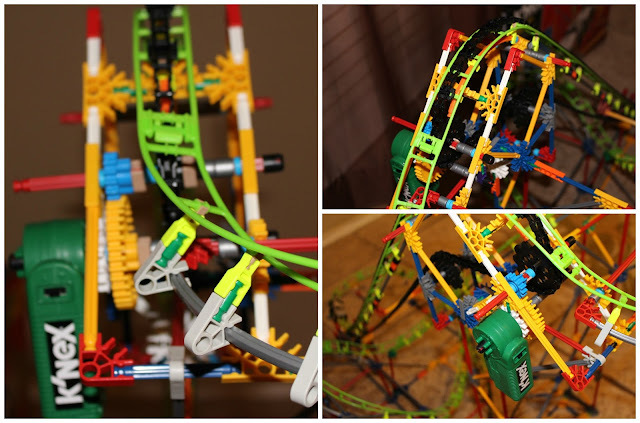 K'NEX building sets are so much fun for children and adults, creating and exploring, your family will have endless hours of fun together! The Double Doom Roller Coaster Building Set brings the theme park straight to your living room, this awesome roller coaster will have everyone excitedly watching the coaster cars race up, down and all around! The K'NEX Double Doom Roller Coaster Building Set is geared for ages 9 and up, it features 2 coaster cars for double the trouble and 891 K'NEX pieces including classic rods, classic connectors, and a track that is over 3 feet high! This set does require 2 "AA" batteries that are not included, you can also download instructions for a 2nd coaster for more fun! There are many pieces and levels to this set, so if you have an adult or two that can help - it makes it that much easier to build! Also, be sure you and your children are working on a large stable or hard surface, like the kitchen table or living room tile floor (as long as it won't get knocked over easily) is an ideal spot. So what do you think? Wouldn't your children love this set? I think it would make a very exciting Christmas gift! Ready to see the Double Doom Roller Coaster in action? Check out the video below! 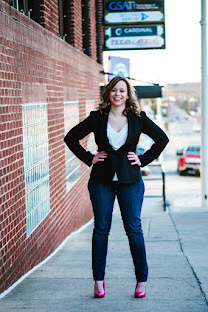 Connect: Be sure to follow K'NEX on Facebook, Twitter, Pinterest and Instagram! Buy it: You can purchase the K'NEX Double Doom Roller Coaster Building Set online for $74.99!! 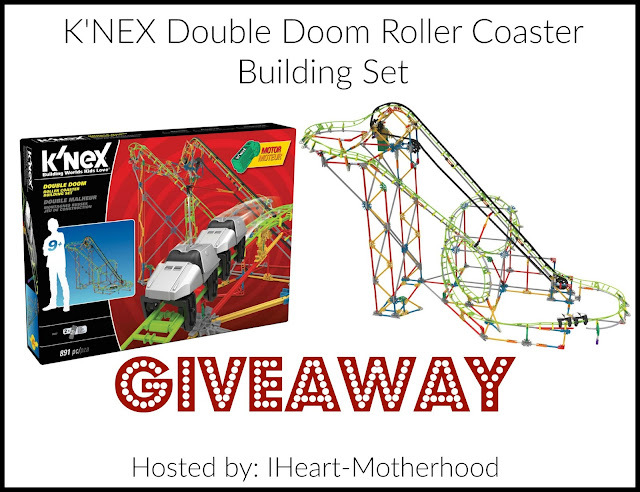 Win it: One lucky reader will win the K'NEX Double Doom Roller Coaster Building Set! Yes, my grandsons love to build with K'Nex! I'd love to win this neat set for them! Yes, my grandsons love to build with K'Nex. I'd love to win this neat set for them! I believe my grandchildren would love to play with K'Nex but they have never played with them. I would like to win the K'Nex for my grandchildren. I think they would love playing with them, but they have never played with K'Nex. Yes,my son loves building with K'nex. I would love to win this for him. I would give this to my 4 year old daughter. She has never played with K'nex but loves to play with legos so I think she would really enjoy this set!